Planning for your next vacation? Mauritius on your priority list? Well, if so, you have reached the right place! Here, we have come up with a few tips for your holiday in Mauritius. Located in the Indian Ocean, this beautiful island is dotted with coconut trees, adorned with white sand beaches and is a home to some of the wonderful and luxurious resorts and hotels in the world. So, already decided that you are taking your partner or family to this beautiful Indian Ocean island on your next holiday? But, not sure what to carry, where to stay, what to expect? Don’t worry! Here, we have the answers to all your queries. Read on! You will not only spent time on the beaches, but will also get around the island. You can hire motorcycles or bicycles or even ride on a bus or taxi, if that suits you. But, if you can spend a bit more, you can take rental cars and drive around with your family. Well, while driving just remember to drive on the left hand side. Knowing the traffic rules is also important! Another small piece of tip that deserves mention here is to confirm before hiring a rental car that it is insured and the company owns a tourism enterprise license. Another concern that tourists think before stepping into this paradise island is the language. How, will they get along if they cannot speak the local language? English is accepted as the official language here and other languages widely spoken are French and Mauritian Creole. So, if you speak English and French, then you will have no issues socializing and communicating with locals. You will not get the extreme weather conditions here. So, you can visit either in summer or winter. If you are looking for a beach holiday, where you want to spend longer times on the beach, then, make summer your time for your holiday in Mauritius. But, if you wish to visit in winter, you can do so and indulge in some inland activities. Mauritius offers a lot of outdoor activities like biking, riding to the top of the mountains, exploring various flora and fauna; also the luxurious resorts and hotels offer a wide range of activities for adults as well as children to choose from like swimming, tennis, horse riding, culinary classes etc. Bargaining is quite an issue in the local markets. There are good market options here, but you will not get more than 10 percent discounts here. But, even if you have to buy a product without discount, go for it as it will be worth it! The resort you choose should be essentially located near the beach for a comfortable stay. Look for websites which contains information about various resorts and hotels. Go through the reviews and star ratings. Next, look at their websites, services, location and price. Decide accordingly! 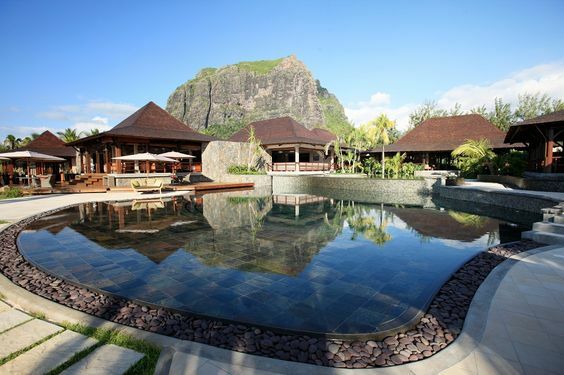 So, with these few tips in mind, you can start planning for your Mauritius Holiday. Also, do not forget to take sunscreens as most of the time you will on the beaches, a good camera to capture the beauty of the paradise and come back with a lot of memories!